IT was meant as a private briefing note for Lib Dem MPs, so they knew the “line to take” in media interviews at the party conference in Glasgow. Unfortunately, some hapless soul accidentally sent it to journalists instead. It urges them to stress that the party is in “confident mood” and gives them nuggets and sound bytes to say before the cameras. So save yourself all that time watching tedious interviews on the telly and read the memo yourself, in just over a minute! The advice misses one golden rule of politics…think and double check your email before pressing the send button. Under Nick Clegg’s leadership, the party have focused on the old liberal principle of favouring taxation on unearned wealth over hard work. This has culminated in the introduction in government of the key Lib Dem policy of cutting taxes by £700 for more than 20m people. In these difficult times, it is important that everyone makes their contribution. It is right that we ask the broadest shoulder to bear their fair share: it is unrealistic to cut more money from welfare spending without increasing taxes on Britain’s richest. We are looking at how the richest 10% of people, those earning over £50,000, could make a further contribution. The vast majority of people in the country would consider £50,000 a very large salary: these are not the middle income earners. From April 2013 the Government introduced a reduction in Housing Benefit for those who are receiving benefit for spare bedrooms in the social rented sector. It is not a tax. 3. Why should someone who rents a council house get benefit for a spare room when you don’t if you have a private landlord? The Liberal Democrats in Government have secured an additional £35m fund to help claimants affected by the removal of the spare room subsidy who need extra support. This funding consists of £5m for rural areas with very isolated communities, £10m for all local authorities and £20m as a bidding fund for local authorities who can demonstrate that they have or are developing a robust policy to distribute discretionary housing payments and who have an additional need for funding. · Nearly one third of working-age social housing tenants on Housing Benefit are living in accommodation too big for their needs. · There are nearly 1m spare bedrooms, with an estimated cost to the taxpayer of up to half-a-billion pounds a year. · There are over 250,000 households living in overcrowded accommodation in the Social Rented Sector in England, who need more space. · Nearly 2m households (1.8m) in England on the social housing waiting list. · Based on the Scottish Housing Conditions Survey (SHCS), there are 59,000 households overcrowded in Scotland (3% of the total). 25,000 of these are in the social rented sector. To ensure we protect the vulnerable, we have trebled the Discretionary Housing Payment budget, which will enable local authorities to provide additional support, and respond on a case by case basis. We have provided DHPs for three years, and it is under constant review. We have allocated £150m to local authorities for discretionary housing payments (DHPs) this year, including £25m for those in adapted accommodation affected by the removal of the spare room subsidy. We have also allocated an extra £5m for the most rural areas to help support remote and isolated communities. We have given councils an extra £10m to support the administration of the policy and there is a £20m fund available which councils can bid for if they need extra support. Some local authorities may claim they do not have enough DHPs. Similar claims were made in 2011/12, when councils ended up under spending their DHP budget by £11m. The Liberal Democrats want everyone to pay their fair share, which is why we believe a Mansion Tax on the value of properties over £2m is fair. To say this will affect houses worth more than £1.25m is nonsense invented by people who want to grab a headline. Our policy is for a threshold of £2m. In government we have achieved our manifesto pledge to increase the income tax personal allowance to £10,000, taking 2.7m people out of income tax and giving a tax cut of £700 per annum to 24m others. As the next step, we believe that there is a clear case for taking the equivalent of a full-time job on the minimum wage (equivalent to £12,300 per annum at current rates) out of income tax entirely. This is a bold move which would provide tax relief to many millions of families on low and middle incomes, and would help to maximise the rewards of employment for those on low incomes. Making this change in one go would come at a significant cost to the Treasury, therefore we intend to phase this change in in stages over the course of the next parliament. It would be paid for through the other tax changes we propose to make, such as introduction of a Mansion Tax, Capital Gains Tax and pension tax reform, and our range of measures designed to tackle tax avoidance. In this way we can provide tax cuts to those who most deserve them, encourage employment and boost the economy. Taxing capital gains at a lower rate than income, as per the existing system, is of little or no benefit to the least well-off members of society, but allows some of the wealthiest individuals to pay significantly less tax than if the rates were aligned. This is fundamentally unfair. In government, we acted quickly to make the regime more progressive by introducing a higher rate of 28% for gains made by higher and additional rate taxpayers, however ultimately we believe capital gains tax rates should be aligned with income tax rates. Our tax reforms would achieve this, and would also reintroduce indexation allowances, in order to ensure that no-one is taxed on the portion of a ‘gain’ which has arisen simply due to inflation – and therefore ensure that no-one is penalised for holding assets over the long term. The additional revenue that would be raised by these measures would go directly towards our aim of increasing the income tax personal allowance to the level equivalent to the minimum wage, which would benefit all individuals in full time employment – instead of the preferential capital gains tax rates which only benefit the wealthy. A £1m lifetime allowance would still be a generous regime – even at the existing low annuity rates, a £1m pension pot for a typical pensioner would provide a tax-free lump sum of £250,000 on retirement plus an inflation-linked pension of around £25,000 a year (or £45,000 per year fixed). In reality the vast majority of employees will not reach a pension pot of £1m, and therefore will be unaffected by our proposal. We want to alter the definition of cider for duty purposes to exclude the mass-produced, lower quality products from the beneficial low duty rates (compared to beer or wine) which apply to cider. The current requirement to be classed as a cider is for only 35% of the product to be from apple juice. Increasing this requirement (to, say, 75%) would require manufacturers of high volume, low quality product to either significantly increase the quality of what they’re making, or pay duty at (considerably higher) wine rates. By contrast, those manufacturers already producing cider from actual apples would be unaffected. Either way, the cost of low-end products would increase, the market would be levelled, and the harmful social impact of very cheap, high-strength ciders would be reduced. We have never proposed introducing a ’jewellery tax’ (or more accurately a ‘net asset tax’). As part of our extensive tax policy consultation process, we invited party members (and others) to comment on the idea of a French-style ‘net asset tax’, as this was one of the ideas that had been suggested by contributors to the consultation process up to that point. Ultimately the idea was rejected by the working group. Due to a banking crisis and Labour’s economic mismanagement, the coalition inherited an economy in very bad shape. With sustained action and after taking many difficult decisions, the coalition has managed to reduce the structural deficit by a third since coming to power. Having created over a million private sector jobs, with increasing business confidence and the economy having grown for two successive quarters, there are signs that the economy is healing, although there is still a long way to go. We have proposed taking radical action to tackle high youth unemployment by developing a comprehensive strategy to give 16-24 year olds access to skills, advice and opportunities necessary to find sustainable employment. We would also like to pool council borrowing limits so councils who want to build more houses, but are at their limits, are able to do so. We will also examine whether Public Sector Net Debt (PSND) could be brought into line with definitions of other EU countries, enabling councils with a sustainable business model to borrow to invest in building more homes for rent. The Youth Contract aimed to create up to 160,000 jobs over three years for under-25s. By the end of July, just under 5,000 wage subsidies had been paid out. Nick Clegg acknowledged at the time that “the initial launch of the offer of this wage subsidy did get off to a slow start”. However he was quick to point that the Youth Contract may be more appealing for small and medium-sized businesses than large corporations. The Deputy Prime Minister has also been keen to learn what could have been done to promote the Youth Contract better, such as utilising the Jobcentre Plus network more. The Confederation of British Industry are supportive of the Youth Contract and government remains determined to improve uptake. Liberal Democrats reject all prejudice and discrimination, as well as all forms of entrenched privilege and inequality. The party is fully committed to helping Britain’s ethnic minority communities achieve their full potential. Racial inequality and racism continues to be a major problem faced by black and minority ethnic people from early years and throughout education and employment. The motion reaffirms this commitment, and aims to tackle a number of inequalities in the education sector, while also aiming to improve race equality among private sector companies in receipt of public money. We believe the discrepancies between the rights afforded to cohabiting unmarried couples and those that are married need addressing, to give equal legal recognition to both relationships. Currently if one partner dies without leaving a will, the surviving partner will not automatically inherit anything unless the couple owned property jointly. Equally in a cohabiting couple, currently neither partner has a legal duty to support the other financially, and voluntary agreements to pay maintenance to each other may be difficult to enforce, irrespective of the facts and circumstances of the relationship, such as sacrifices that may have been made by one party. Speaking to the Telegraph, Jeremy Browne said: “I am instinctively uneasy about restricting the freedom of individuals to observe the religion of their choice. That would apply to Christian minorities in the Middle East just as much as religious minorities here in Britain. “But there is genuine debate about whether girls should feel a compulsion to wear a veil when society deems children to be unable to express personal choices about other areas like buying alcohol, smoking or getting married. Sexual harassment or abuse will not be tolerated in the Liberal Democrats. We have acknowledged that there have been failings in the past. We have apologised for those publicly and we are determined they will not be repeated. That’s why we set up an independent inquiry into the party’s culture and practices, which was widely publicised and made a number of recommendations which are now being implemented. Anyone who had suffered harassment or abuse was encouraged to come forward and give evidence and that evidence was taken extremely seriously. Anyone who has not come forward is encouraged to do so by contacting the independent helpline we have set up for anyone who wishes to make a complaint or seek advice. As a result of the inquiry we have made a number of changes to make it clearer and easier to make a complaint; to improve our party’s HR practices; and change our party’s rules to make clear that such behaviour will result in disciplinary action. Any suggestion that we have been anything other than completely open is wrong. Every part of this process has been transparent and the recommendations have been debated and approved this weekend, in the conference hall and in front of live TV cameras. The latest Ashcroft poll of marginal seats only sampled Tory held seats, 32 which are Labour facing and 8 Lib Dem. Those 8 are Oxwab, Montgomeryshire, Camborne & Redruth, Truro & Falmouth, Newton Abbot, Harrogate, St Albans and Watford. In those 8 seats we are almost neck a neck with the Conservatives. Voting intention is Con 32 Lib Dem 29 Lab 18 Ukip 12. Asked whether each party shares their values, 37% of people in those seats agreed the Lib Dems did, 35% agreed Labour did and 30% Tories. Asked whether they agreed that each party was ‘on the side of people like me’ 40% agreed that the Lib Dems are, 40% Lab and 25% Tories. We are seen as particularly strong on the environment, with 45% saying we would do the best job of protecting it, 20% Cons and 19% Lab. We are the most active party in these seats. In the last few months we’ve knocked on the door of 14% of homes in these seats (Con 12% Lab 8%); telephoned 3% (Con 2% Lab 1%); delivered to 41% (Con 36% Lab 23%). The Liberal Democrats go into conference in confident mood. We are the most united of the major parties, with a proud record of achievement in Government. At this conference we will begin to set out our stall for the local and European elections next year and the General Election in 2015. We are planning for a second term in Government as the only party capable of delivering a stronger economy in a fairer society, enabling everyone to get on in life. There will be a number of important debates that will form the basis of our policy platform for 2015, including on the economy, fairer taxes, higher education, Europe, nuclear power and defence. We are a party with a clear priority – jobs and easing the squeeze on household budgets. Liberal Democrats have cut taxes for working people and helped businesses to create more than a million jobs – now we want to help them create a million more. We are in Scotland just a year before the country votes in the independence referendum. Liberal Democrats are proud of our United Kingdom and strongly believe our two nations are better together. A vote to stay in the UK is not a vote for no change. Liberal Democrats want to see further powers transferred to Scotland as part of the UK. Now we are campaigning to double the number of workplaces who offer apprenticeships in the UK – from 100,000 to 200,000. The SNP Government is allowing Scotland to fall behind on apprenticeships.The percentage of employers offering apprenticeships in Scotland is lower than in England and the growth of apprentice new starts in Scotland has slowed, compared to a big rise in England. We are also campaigning for the Welsh Government to fund a programme to highlight the benefits of apprenticeships for businesses and young people. Labour cannot be trusted to build a stronger economy. They crashed the economy and have no answers on how to create jobs and get the economy growing. · “There’s no money left” – Labour nearly bankrupted Britain. We are cleaning up their mess. Ed Miliband is a weak leader of a divided party that has nothing to say about the big issues of the day. Despite scaremongering for years, they have been proved wrong. Wrong on the economy. Wrong that unemployment would soar. · Where do Labour stand on the economy? · Where do Labour stand on welfare? · Where do Labour stand on Europe? · What is the Labour policy on schools? · What is the Labour policy on the NHS? · Scotland has the best of both worlds as part of the UK with a Scottish Parliament that makes domestic decisions and a strong voice in the UK Parliament. · Devolution delivers for Scotland and we are doing well as part of the UK family. · We are campaigning to win the referendum on 18 Sept 2014. · A vote to stay in the UK is not a vote for no change. Liberal Democrats want to see further powers transferred to Scotland as part of the UK. MUCH has been said and written about the break up of the United Kingdom and what it would mean for the people of Scotland and the rest of these islands. Some have claimed that a fully independent Scotland would be landed with a debt-ridden economy and others have argued over the timing of a referendum and what the question on the ballot paper should be. 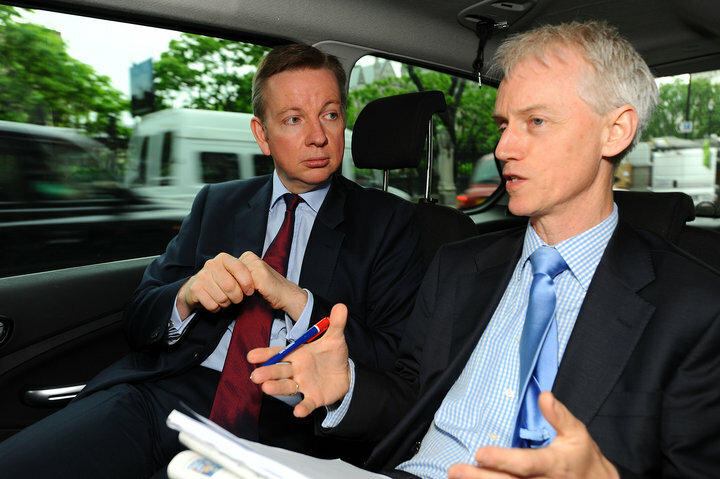 But nobody has brought the key issues into sharper focus than Education Secretary Michael Gove. In a few off-the-cuff words, he summed up the choices facing voters north of the border. He accused SNP leader Alex Salmond of ducking the big question about independence – and lacking the nerve to call a referendum on full independence. Scots-born Mr Gove’s unrehearsed words on BBC Radio 4’s Today programme this morning get straight to the point and are worth reading in full. He said: “We need to have a decisive yes or no question on whether or not the people of Scotland want to be independent or not. “Alex Salmond has been trying to play a tactical game here in order to strengthen the political position of his party. By doing so, he has avoided and dodged so far some fundamental questions. “Do the people of Scotland want to have the same level of welfare benefits as the rest of the United Kingdom? Do they want to be part of the same nation that has the British Broadcasting Corporation and a National Health Service? “Do they want the Royal Navy and the British Army to remain institutions that embody patriotic feeling and sentiment or do they want to sunder and separate them? “Do they want you and I to be forced to choose between being British and Scottish, to have a narrow, exclusive, ethnic nationalist identity as our only choice or do they believe that we should be plural, multi-cultural, modern and 21st century?